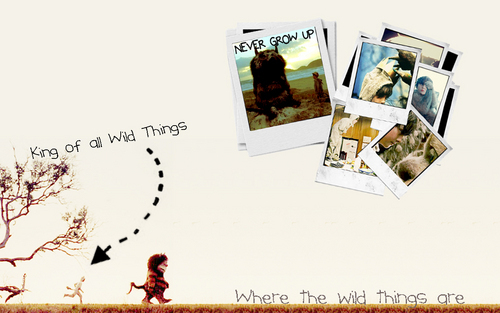 'Where The Wild Things Are'. . HD Wallpaper and background images in the Where The Wild Things Are club tagged: where the wild things are maurice sendak spike jonze film movie max 2009 wallpaper. This Where The Wild Things Are wallpaper might contain সংবাদপত্র, কাগজ, ম্যাগাজিন, ট্যাবলয়েড, টেনা, নকল মানুষের, কমিক বই, কমিকস, and কার্টুন.